Message throttling is an innovative feature of PowerMTAT. 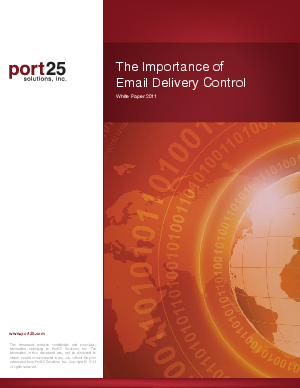 It is often associated with controlling the amount of email that ISPs receive from your network. ISPs often limit the amount of email that is allowed through their network because of high spam complaints and/or suspect domains from a sender. These limitations make it more challenging for legitimate email to reach the inbox. PowerMTAT is a highly configurable and robust email solution to ensure emails are being delivered at an optimal rate, even if ISPs flag your network. Changes in ISP policy can be met easily with PowerMTAT and are dynamically adjustable for any ISP threshold. Because PowerMTAT can make these adjustments with ease, users stay off blocklists for domains and receiving better deliverability with higher throughput rates. PowerMTAT excels in this regard because it can dynamically adjust to any ISP limitations based on software configuration. A variety of companies benefit from PowerMTAT, including leading email service providers, top financial institutions, major publishers, and well known consumer brands.